I provide narrative strategy and creative coaching to ambitious womxn and non-binary entrepreneurs. Megan Dowd good words are just the beginning. She just radiates, doesn’t she?? Ally came to me as she was wrapping up her Ayurvedic training, knowing she wanted to build up a her holistic health work while keeping it rooted in female empowerment. She already had some eager clients - a GREAT problem to have! - and had nowhere to direct them, nor any consistent visual or verbal style for making her mark online. Typically I’m reticent to work with new folks unless I know with certainty they are ready to dig into not only what they want to do with their new business but why they’re doing it, what their larger vision is. Thankfully, Ally was so down for this. More importantly, we spent time parsing the different aspects of holistic health Ally wanted to cover with her work. It’s easy to say “I want to work with EVERYONE and help them with EVERYTHING” and very hard to sell folks on that (especially on the internet!). While she refined her services, I spent extra time on the language of her website, making sure that every sentence was tailored to her ideal client (as identified through our Strategy Sessions and her completed questionnaires). What was of particular note in our process was the work Ally put into knowing her Perfect Client through and through. 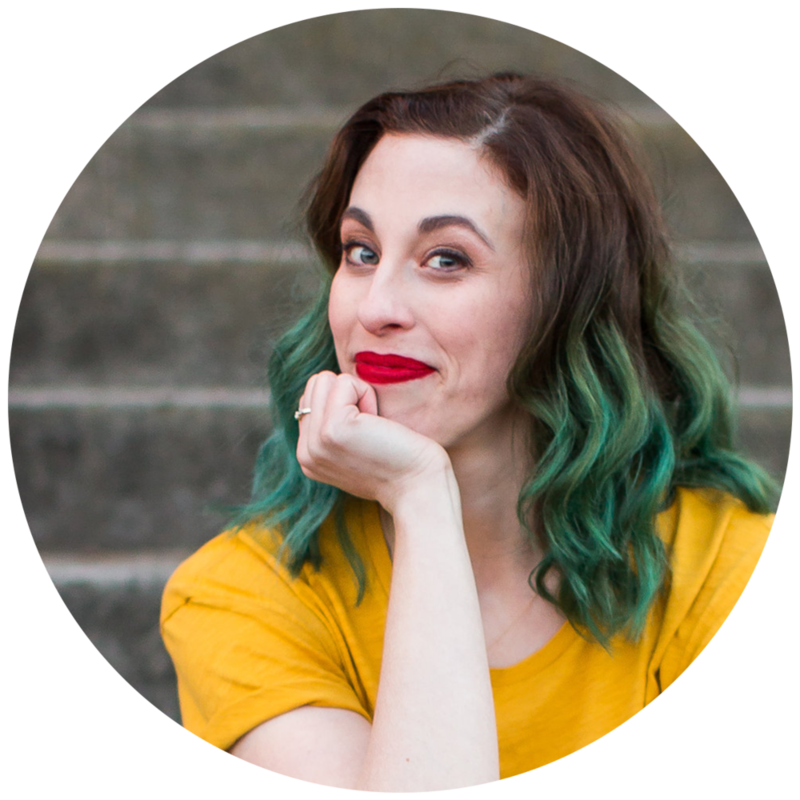 Ally took initiative in knowing every bit of who she knew her Perfect Client to be, and it was this incredible work on her part that allowed me to both visually design as well as write her website to grab her ideal audience and work from there. I’m biased, that’s to be sure, but doesn’t this just FEEL like that photo of Ally?? And (of course) an excess of gifs. Cross my heart and hope to die - I’ll never let your info go where it shouldn’t.